Christophe Guignard will introduce the participants to the stakes and the progresses of our ongoing experimental work. There will be profiled and inspiring speakers such as Lev Manovitch, John Thackara, Andreas Brockmann, etc. 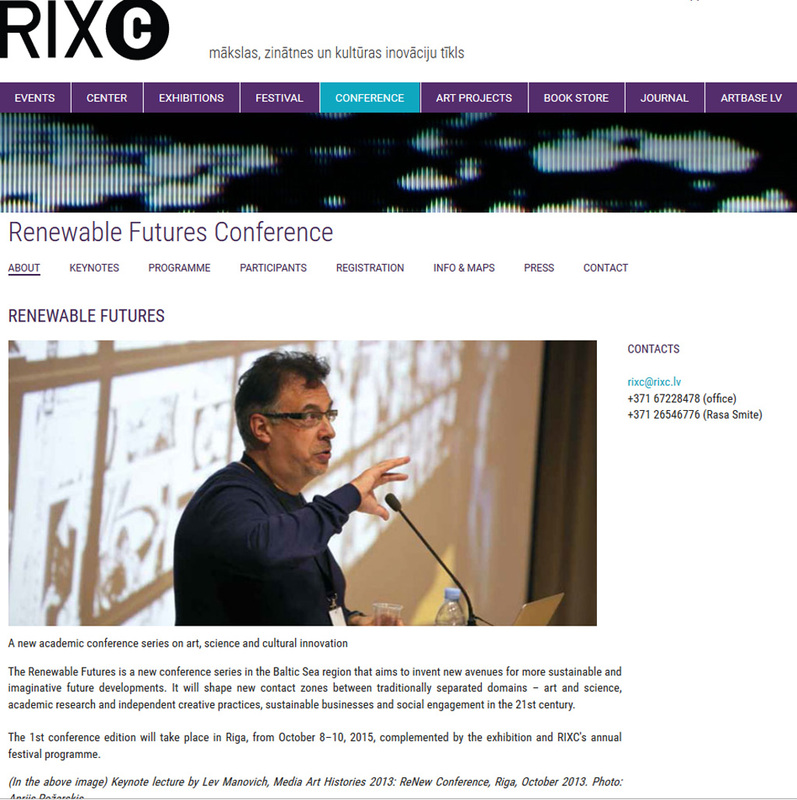 Christophe Guignard will make a short “follow up” about the conference on this blog once he’ll be back from Riga.